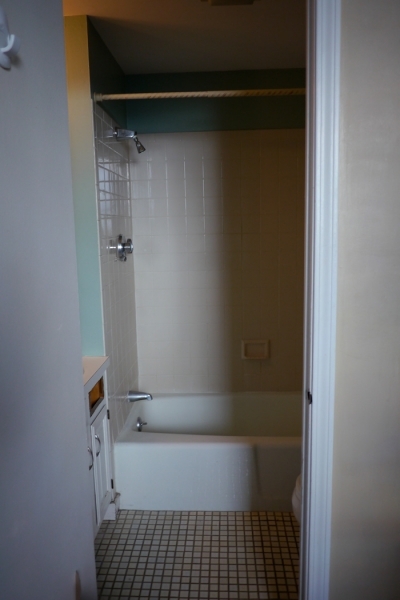 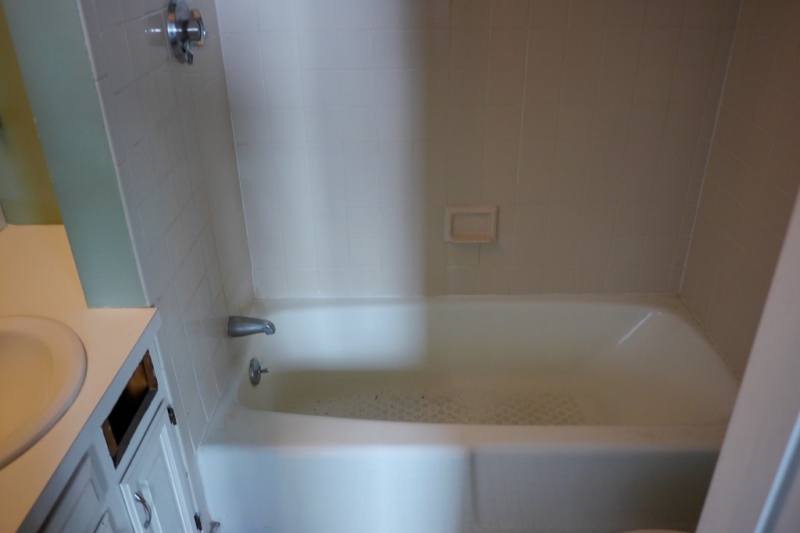 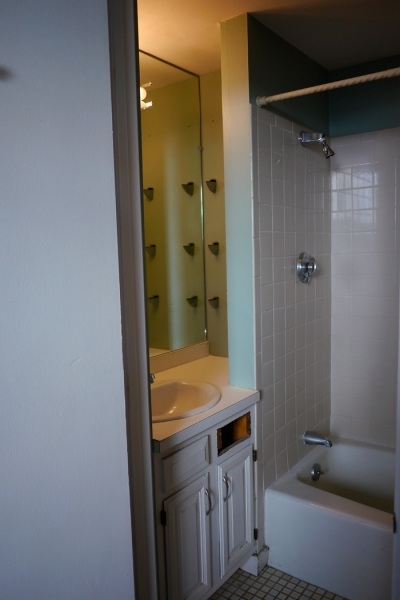 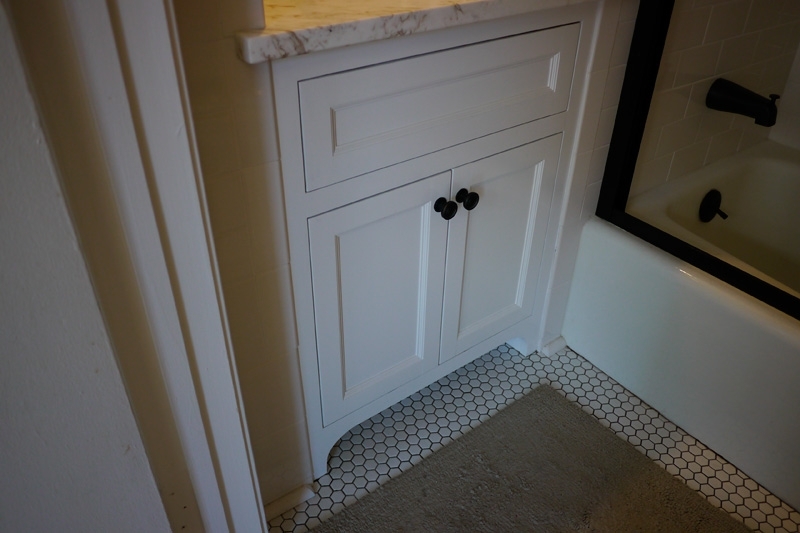 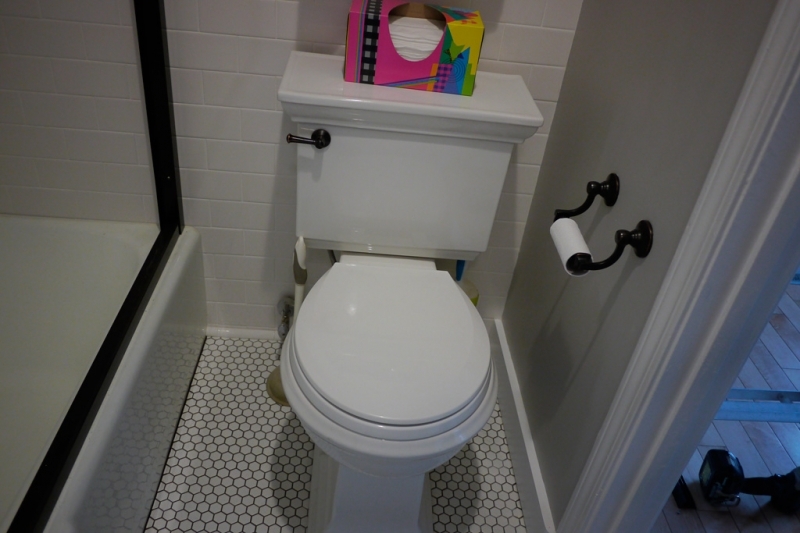 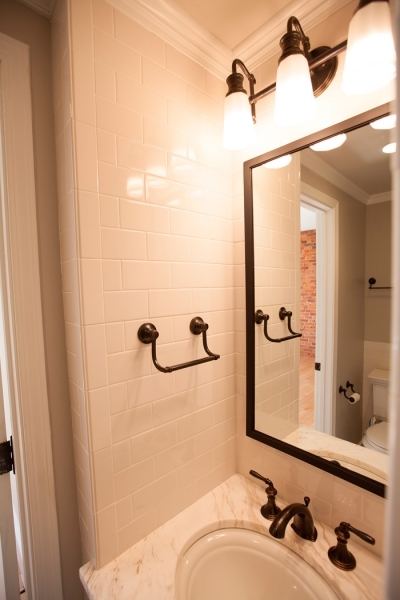 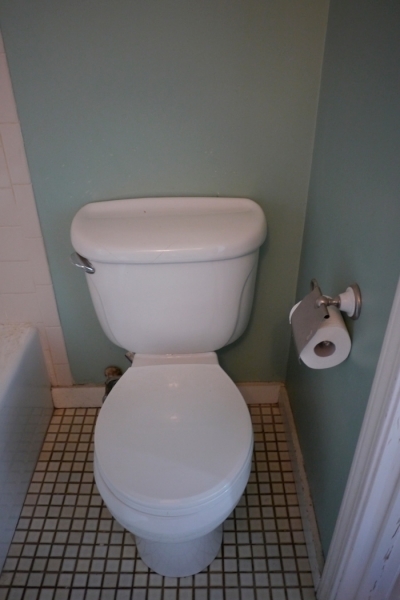 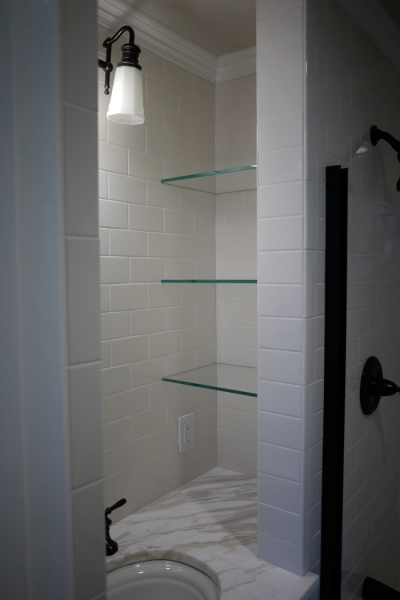 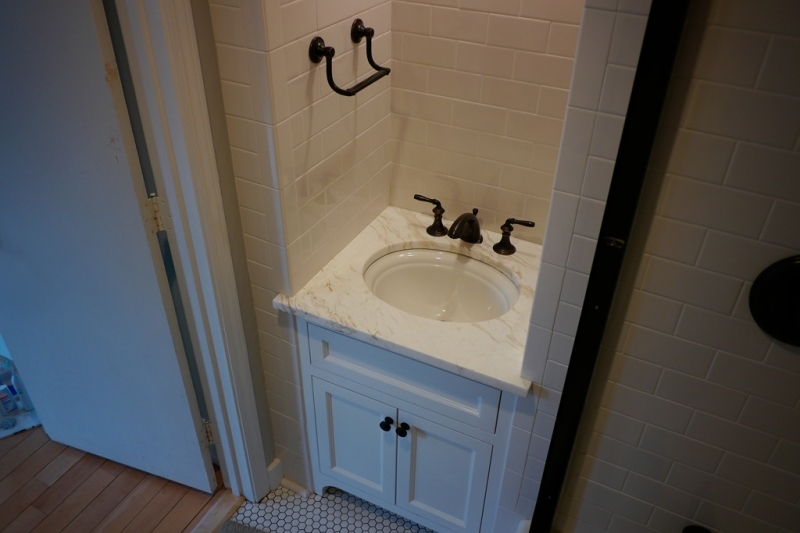 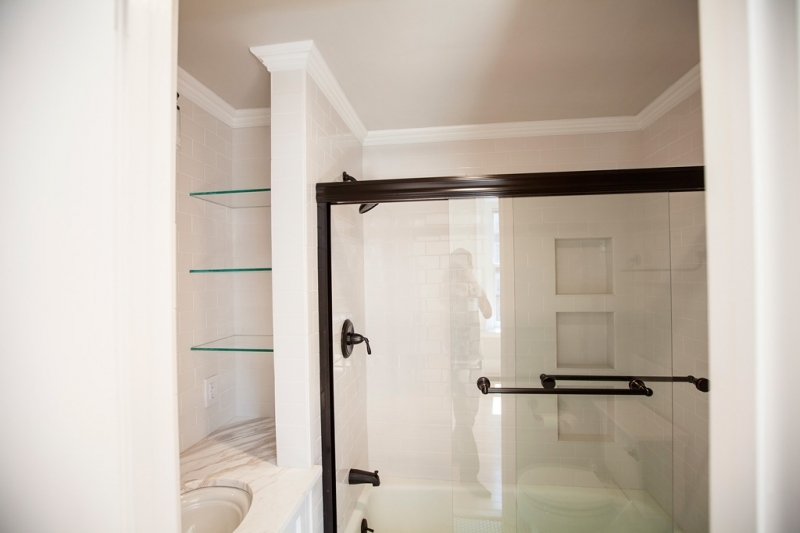 This bathroom was remodeled during the same time as the kitchen and was a fairly straightforward project. 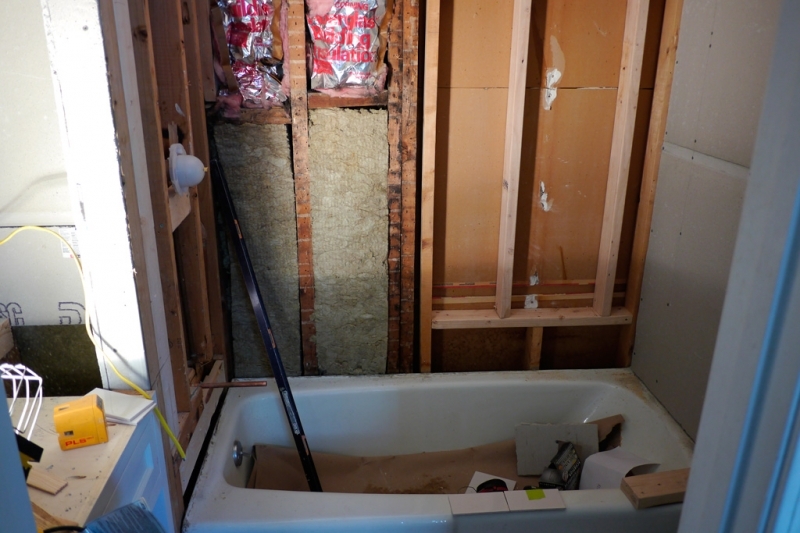 The usual “hobnobbery” framing horrors were discovered behind the shower wall and were remedied. 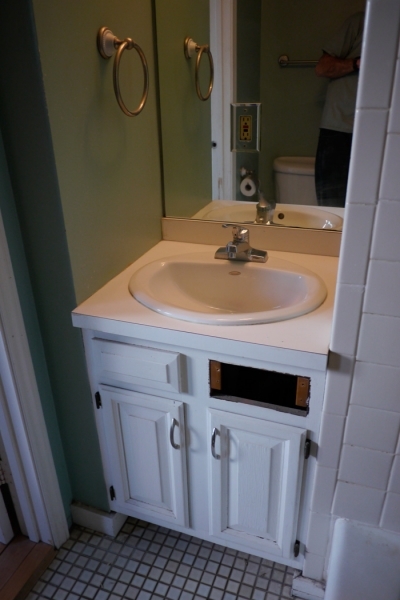 I built a custom vanity to replace existing. 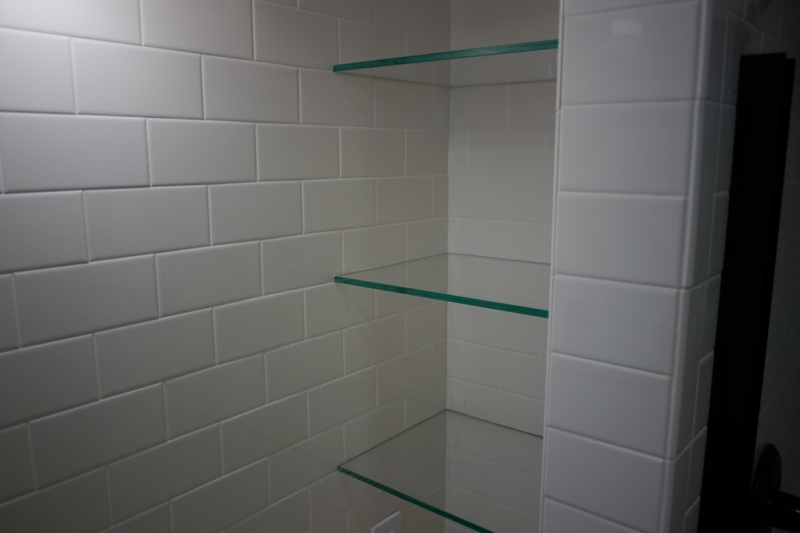 Not wanting to delay the job by searching for a decent tile setter in Boston, I decided to do all the tiling myself and this was by far the most challenging part of the job, involving the fussy custom build of a triple-tiered shampoo niche with exactly a full tile between them and mitered corners on the inside walls. 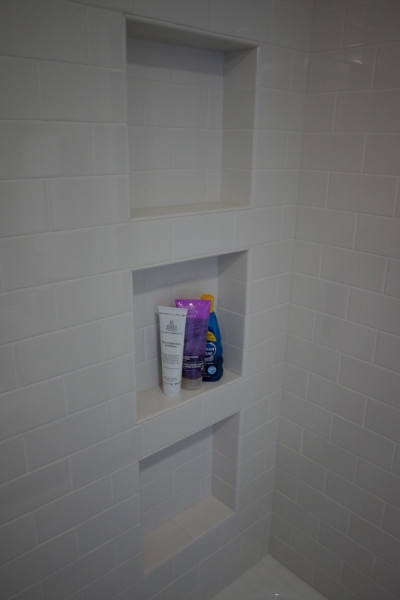 I framed and waterproofed each niche as I built upward, to ensure a completely perfect alignment of tiles. 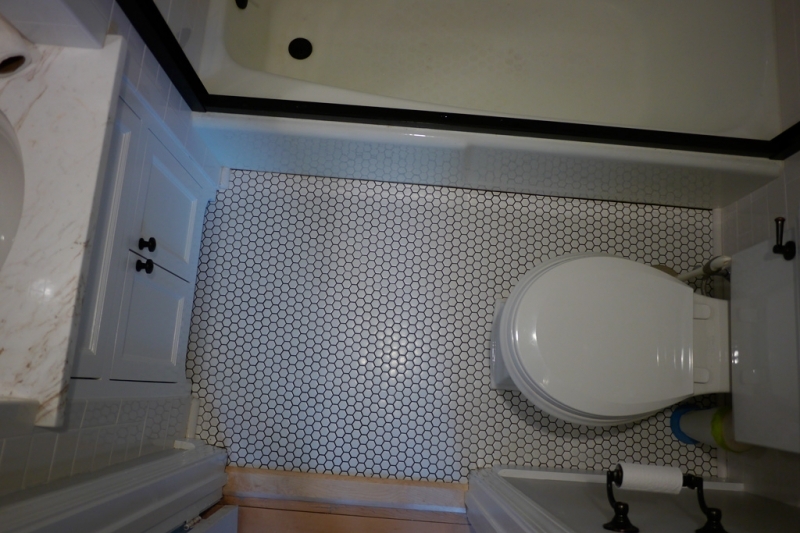 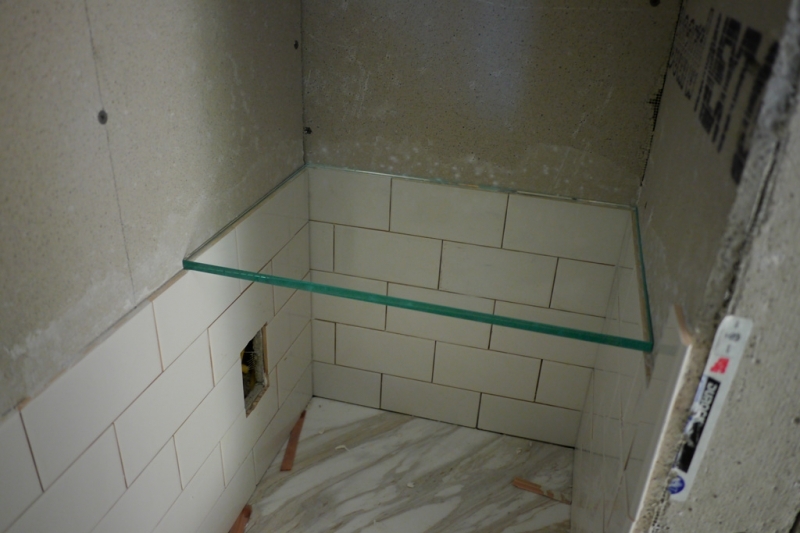 A new tile underlayment was added to the floor, and the vanity installation was laid out so as to have a full course of tile wrapping around the showerhead head and lining up with the counter top. 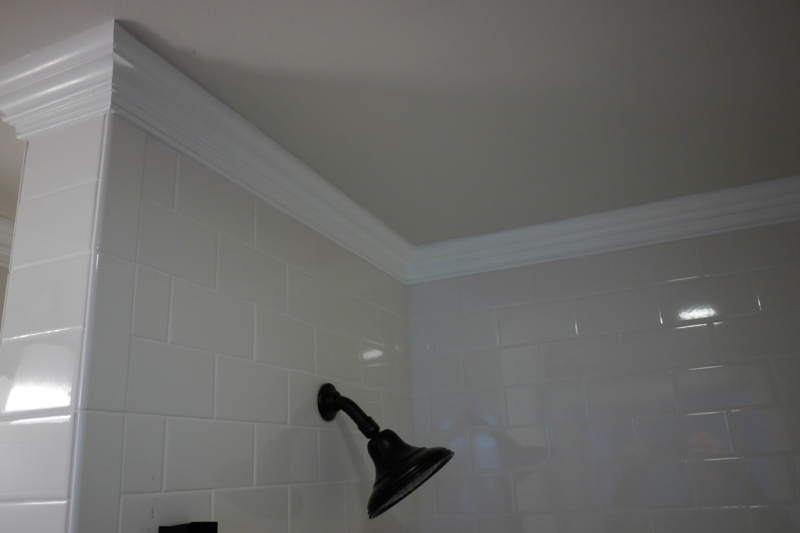 This is one of those little important details that wouldn’t necessarily stand out unless it wasn’t done this way and would be very easy to fail to think of it.